Waitakere Arts and Cultural Development Trust board is the governing body of Corban Estate Arts Centre, meeting monthly to set direction and policy, oversee operations and ensure that the organisation is fulfilling its legal and financial obligations. Board members provide expertise and take on specific project responsibilities. The board’s Annual General Meeting is held in conjunction with the October monthly board meeting each year. Brian is a professional company chairman and director, lawyer, businessman and community leader. He is the Chairman and joint proprietor of Ngatarawa Wines Limited and numerous other private companies. While being Chairman of the Corban Estate Arts Centre, he also chairs the National Royal New Zealand Navy Museum, and is a Trustee of the West Auckland Hospice Foundation Trust and several other community organisations and charitable trusts. He is a past Chairman of companies including Television New Zealand, Radio New Zealand, WEL Energy Group Limited and Genesis Power Limited. Carolynne has been a strong advocate for local communities for over 30 years. Elected to Waitakere City Council in 1991 she remained a councillor for 15 years, becoming Deputy Mayor alongside Mayor Bob Harvey. Carolynne contributed to setting up Te Taumata Runanga, The Pacific Island Advisory Board and the Waitakere Ethnic Board. She advocated for the establishment of the Youth Council based on the UN’s Convention for the Rights of Children. As a Planning Commissioner she utilised her expertise in planning and resource consent issues and as city councillor advocated for good design and the involvement of artists at the beginning of any council led development project. Carolynne is Co-Deputy Chair of the WACDT Board, and has been Chair of the WHO accredited Safer West Community Trust for 20 years. 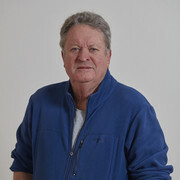 John was born in Auckland in 1950 and has been a sculptor since 1977. His art practice investigates human interaction with resources in the modern world, and is internationally recognised for its understanding of the ancient craft of stone working. He has travelled widely and his work is held in private and public collections including the Auckland Museum, and as part of permanent public installations. He is actively involved in conservation and environmental projects, and has been the President of The Waitakere Ranges Protection Society for the past twenty years. Tara has worked in the arts for over thirty years in various roles, including performing arts journalism, publishing, publicity, marketing, arts management, education, facilitation, and project management. 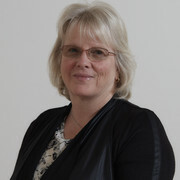 She has held various academic and academic management positions in business and arts management, both at the University of Auckland and in AUT University. 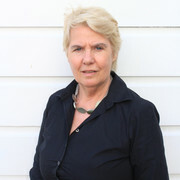 She is director of Jahn and Cocker Ltd which focuses on books and photography, and arts consultancy Jahn-Werner and Associates. Jemma has a background in volunteer management and visitor experience in the cultural and heritage sector. She currently manages the volunteer programme at Auckland Museum, including managing a partnership with Dementia Auckland. This project received a highly commended award from Arts Access Aotearoa. She has also been a speaker at the Federation of International Human Rights Museums Conference, about creating accessibility in culture and heritage. Jemma has a passion for people: she believes in the power of people to tell stories, share knowledge, and create identity and community through the arts. Leo is of Māori (Ngāti Kahungunu, Ngati Rakaipaaka) and Polish descent. 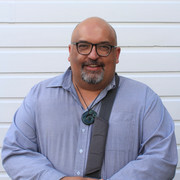 He is the founder and director of the Wairoa Māori Film Festival of Aotearoa New Zealand, the nation’s premiere platform for the promotion and presentation of Māori and indigenous film arts since 2005. Leo Koziol travels the world promoting Māori and Pasifika film making and storytelling to global audiences. In 2015, he was part of the Māori delegation to Rochefort Pacifique in France, was a Pitch Jury member of the Kota Kinabalu International Film Festival in Malaysia, and was an official delegate to the NEXTus world gathering of indigenous film festival directors in Canada. His film programmes have screened in Australia, Tahiti, Hawaii, Canada, USA, Finland, France, Germany, Rarotonga and Malaysia. 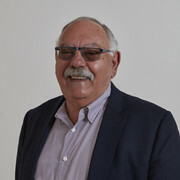 Leo Koziol hosts a weekly radio show on Māori Radio Waatea in Auckland, “Kōrero Kiriata,” . Naomi has worked in the arts and cultural arena for over thirty years. As Arts Manager for Waitakere Council she developed a significant arts portfolio for the city, included a ground-breaking arts/design practice placing artists at the heart of public space development, a model of best practice adopted by many councils around New Zealand. She also initiated an events programme including the Going West Books & Writers Festival and Trash to Fashion. 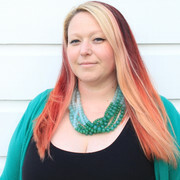 Naomi received the inaugural Creative New Zealand Award for Contribution to the Arts in Local Government (2003) and was a finalist in the Women of Influence Awards 2015. Naomi was the founding chair of the McCahon House Trust for 18 years and is now the deputy chair. She is a Trustee on the Te Pou Maori Theatre Trust, Chair of the Going West Trust, and founding member of TEMP, an on-going programme engaging artists and scientists in collaborative projects to demonstrate issues around global warming. In her spare time she runs an arts consultancy business (advocART Ltd). Jarcinda is a New Zealand born Cook Islands and Samoan artist, project manager and producer. Living arts and te peu Kuki Airani – the ways of Cook Islands culture and values – were the foundations of her upbringing in West Auckland. 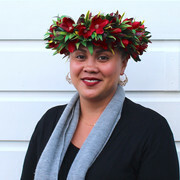 Jarcinda is the Director of the Pacifica Arts Centre (based on the Corban Estate) and serves as a member of the Pacific Advisory Group for The Auckland War Memorial Museum Tāmaki Paenga Hira. She is also a founding member of Turou Takitua, a Cook Islands storytelling collective that is inspired by the knowledge and art practices passed down by her elders. Monthly board meetings are generally held on the third Wednesday of each month (on the second Wednesday in December). Items for the board agenda are required by 9am on the previous Wednesday at the latest. In 2015 the board adopted its current Statement of Strategic Intent. A copy of that document is available on request. The board is now working on a Development Plan for Corban Estate, that will prioritise plans to be implemented in the next 20 years.